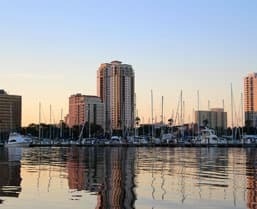 Why settle for a list of apartments in Clearwater when RentTampaBay.com offers so much more? We provide you with the tools and information you could need to pick a place that works for you. There's no need to go from one apartment to the next, keeping your fingers crossed that you’ll find “the one” to call home. It’s so much faster and easier for you to trust the hours of work put in by our regional experts and local residents; they know Clearwater apartments like the no one else, and they can help you make the best choice when you’re searching for your new home. 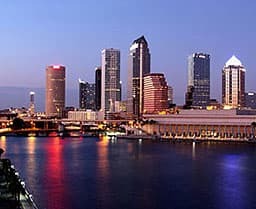 The tools and information that RentTampaBay.com has to offer you go unrivaled by the rest of the industry. We give you an apartment guide with more than 300 choices to refine your search as you look for the best apartments in Clearwater. Each apartment in the area has a thorough listing, covering everything you could want to know about it (often even more than their website says). This is because our team appreciates the importance of having the most information to make a better decision. If you're new to Clearwater, we also offer relocation guides that tell you the ins and outs of the city; there’s an even an interactive map to give you a feel for the area. By sharing local news and social media updates too, we give you everything you could want. As if the tools and information weren’t enough, we also have a dream team at RentTampaBay.com to help you find your dream place! This bunch of experts pours through your questions and answers the most common ones weekly, which has created a collection of more than 448 FAQs in our database. They have also done their research, inspecting almost every single one of the apartments in Clearwater and providing the most in-depth information possible for you. We know that you want to have all your questions answered before deciding on a new home; that’s why we’re here to help. No matter how specific or general your questions, our team can point you toward the best Clearwater apartments for you. I am looking to relocate to the Clearwater area. What types of accommodations should I look for in my new apartment home? I’m an entrepreneur looking for an apartment in Clearwater. What apartment features can I look for that will help me run my business from home? What is a Corporate Unit? What are the benefits of having ceiling fans and light fixtures already installed in apartments in Clearwater? What are the benefits of having a Clearwater apartment with an elevator? What does controlled access mean at Clearwater apartments? 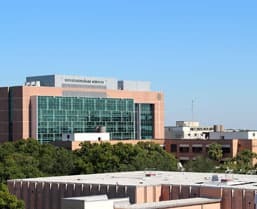 Whether you prefer to watch the big game every weekend or your favorite soaps every weekday, there are plenty of Clearwater apartments that have the cable connection you’re looking for. Nothing competes with sitting at home, watching your show live. Plenty of apartments in Clearwater boast their own on-site fitness centers -- they know how important your health is! You can take care of your body and your living situation all in the same place when you choose an apartment with its own fitness center or gym. If you prefer to reside in a gated community, there are many options for Clearwater apartments that will make you feel right at home. You shouldn’t have to compromise when it comes to a feature that makes you feel more relaxed when you're in your new home. Even though apartments in Clearwater are never very far from the beach, it’s nice to have a pool on-site for you to enjoy. This Florida sunshine can be brutal at times, so what better way to stay cool than by indulging in a nice dip, right in your own backyard? What Makes Us Different?We're not here to "upsell" you into Clearwater apartments you can't afford.